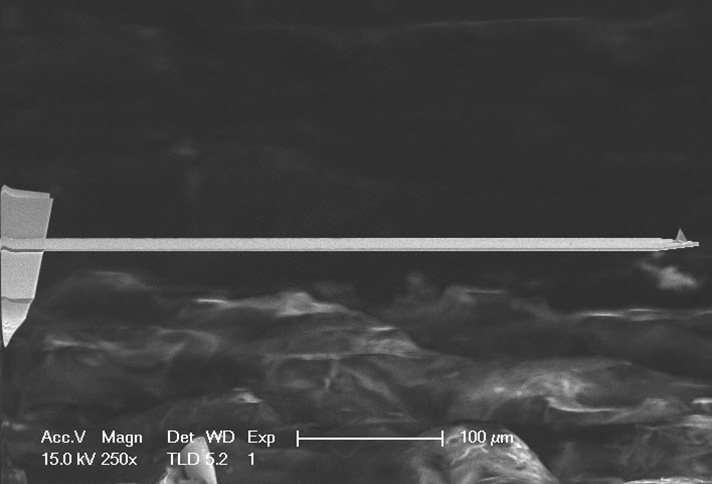 A wafer High quality etched silicon probes for contact mode imaging in air. Unmounted for use on standard AFM's. 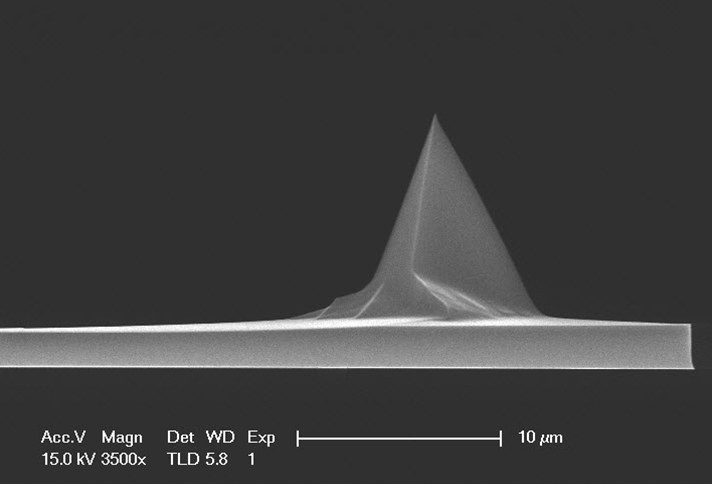 Bruker AFM Probes has introduced an improved version of its popular, ESP/ESPA AFM probes. Bruker’s new line of ESP high quality premium etched silicon probes set the industry standard for contact mode in air. This AFM probe is unmounted for use on any AFM and is also available with Aluminum reflex coating as model ESPAW-V2. The current model ESPW is available for ordering through early 2015 at which point, it will become obsolete.